The winter months are the perfect time to do your backyard vegetable garden planning. This is why seed catalogs are usually shipped in late December to early January. It gives you time to flip through the pages and place your order in time for ground breaking. 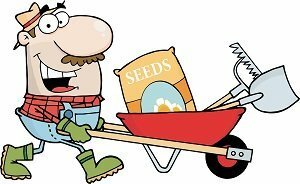 Now before you place a single seed in the ground there are three essential decisions that have to be made: Location, Size and Timing. 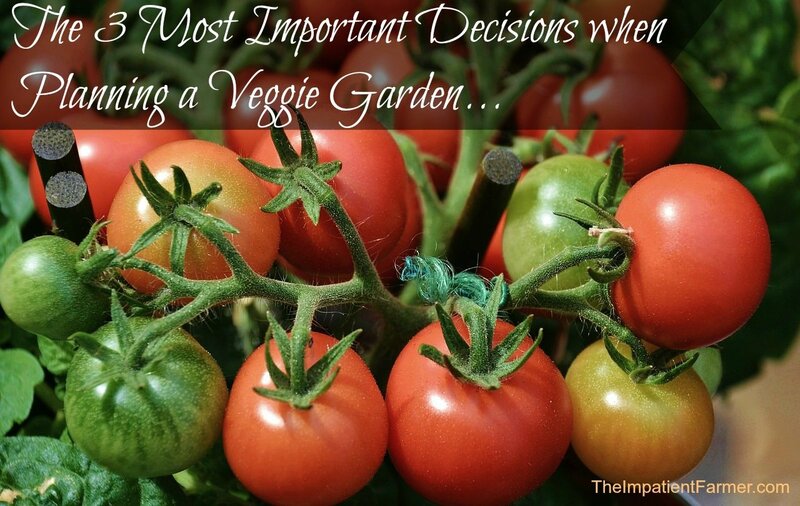 If you get these three decisions right, you will be well on your way to creating a healthy, productive garden. 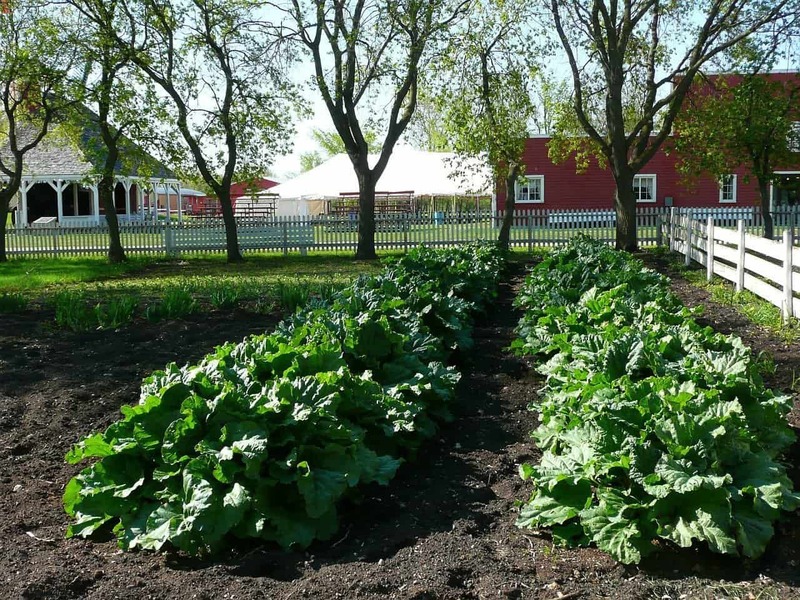 How Big of a Vegetable Garden do you Need? When Should you Plant your Vegetables? An ideal location for a vegetable garden is an area that has a southern or southeastern exposure. Gently sloping ground is preferred as it will aid in drainage which is a must have in your garden. You want the rain to get evenly distributed to every plant, not pooling in certain areas. Along with exposure you want to make sure your future plot will receive as much sun as possible. So choose an area that is free of trees bushes and building that may block out the sun. It is also a good idea to place your garden as close to the house as possible. This will make preparing meals easier with your fresh grown vegetables. If this is not possible, having some potted tomatoes and herbs close by is an alternative. If the soil is hard to till, consider building a raised garden bed. Over at the DIY Diva, you can find step by step photos on how to build a cedar raised garden bed. She lays out material lists and the instructions are easy to follow. 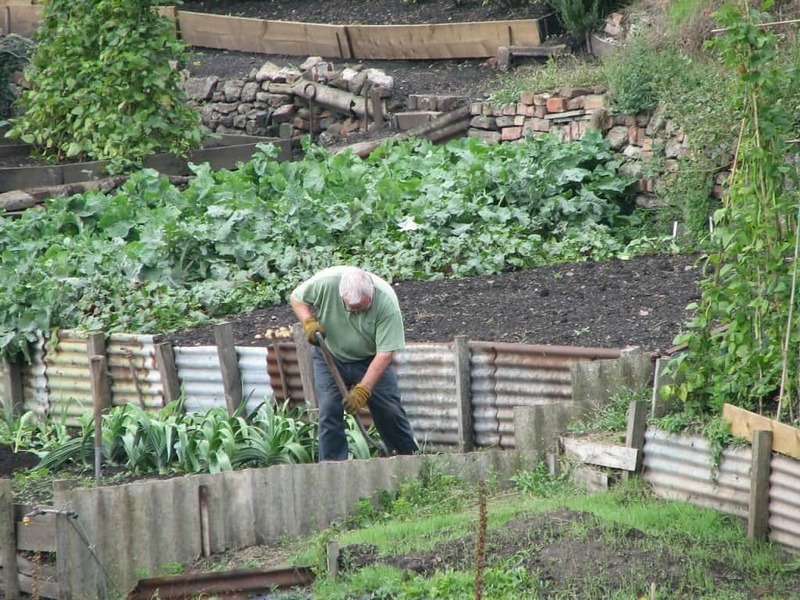 A raised garden is also great for anyone with back back – less bending down during planting & weeding. The size and shape of your vegetable garden may be determined by the location and available land you have. One of the biggest mistakes new gardeners make when vegetable garden planning is becoming over ambitious on the size and end up with an unmanageable garden. Believe me this is very easy to do. Some people suggest donating your extra veggies to the local food kitchen, well guess what…come mid-July even the homeless are tired of eating summer squash, buy them a steak instead. So think small initially and then grow in size as you are able to gauge your time and ability. Now make a list of what you plan on growing. Then consider how many people you will be feeding and there likes and dislikes of the type of vegetables. This will help you determine how much of each vegetable to plant. Then determine how wide your individual rows will be. 3-5 Ft is a good width if they can be accessed from either side when weeding or harvesting. Next look at your seed packets or new starts and check out the spacing requirements on them. Finally between quantity of plants, row width and seed spacing you should be able to calculate total linear footage of garden rows needed. Helpful tip: To help reduce the size of my vegetable garden, I don’t grow corn, zucchini or summer squash. These three vegetable are grown in abundance and are inexpensive to buy. When doing your vegetable gardening planning you need to take in account the timing of your planting. Some plants like spinach and peas should be planted very early in the season. They will be full grown and harvested in time for a second planting of a different vegetable in the same space later in the season. Using my own garden as an example, I have a small trellis in my garden where I plant peas as soon as the ground can be worked. A few months later I plant cucumbers in between the peas. Now by the time the peas are finished, the cucumbers are usually big enough to start their climb up the trellis. Spinach and head lettuce are two other cool weather crops that will be finished in time for a planting of say string beans or eggplant. This will help reduce the size of your garden and also make the most out of your usable space. Intercropping will also help save on space. Plant radishes in the same rows with carrots, radishes mature so fast they will not interrupt the slower growing carrots. I have heard of people growing pumpkins and melons in with sweet corn. As the corn dies off the melons will overtake the same space. Once again check your seeds or starts to find the days to maturity when planning the timing of your plantings. Here are a few tips we’ve learned over the years from our own backyard vegetable garden. Mulch your vegetable garden. 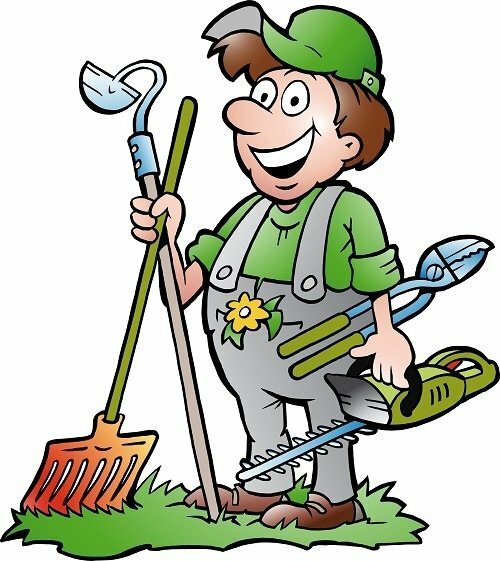 It helps keep the weeds down and preserves moisture during the hot months. Speaking of pests, do yearly rotations of plants like potatoes. Once you have the potato bug it is hard to get rid of. Double digging your garden beds will help boost your harvest and allows for closer planting of crops. And finally be patient with a little practice you will be producing a bountiful harvest.